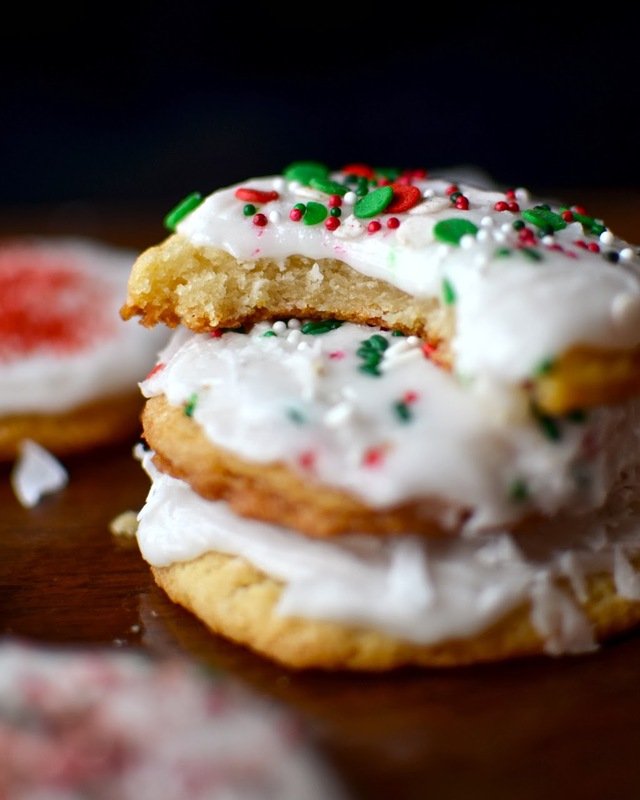 If you've been scouring the internet, looking for the perfect gluten free sugar cookie recipe to make for Christmas, then look no further. 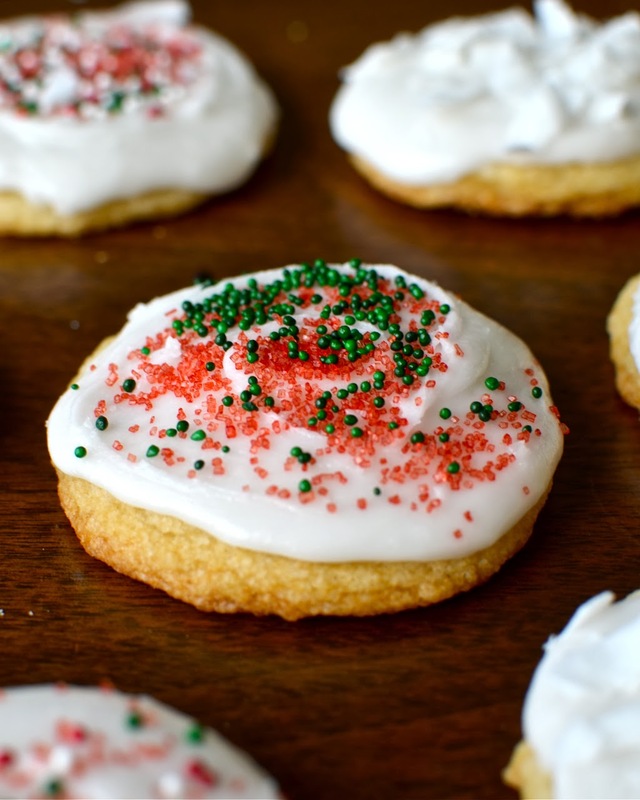 These sugar cookies are so good, you literally cannot tell that they're gluten free. 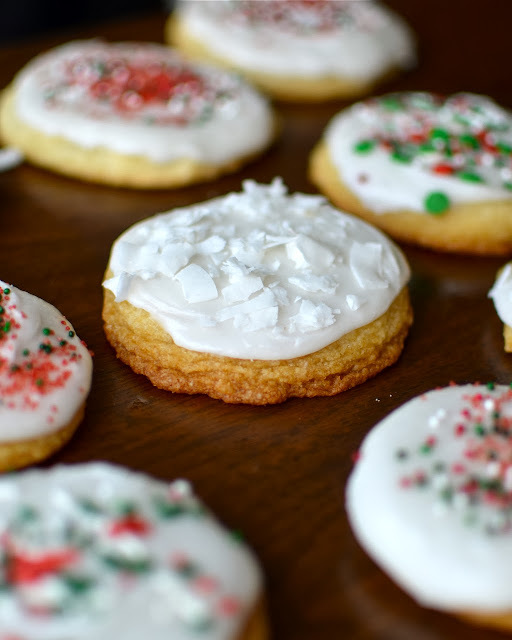 And these aren't only the best gluten free sugar cookies I've ever made, they're the best sugar cookies I've ever made period. Sugar cookies aren't usually my thing. They have a tendency to be dry and flavorless, tasting like nothing but sugar. I usually head for the fudge and peanut butter blossoms before I start looking at the sugar cookies. But these... These cookies are different. 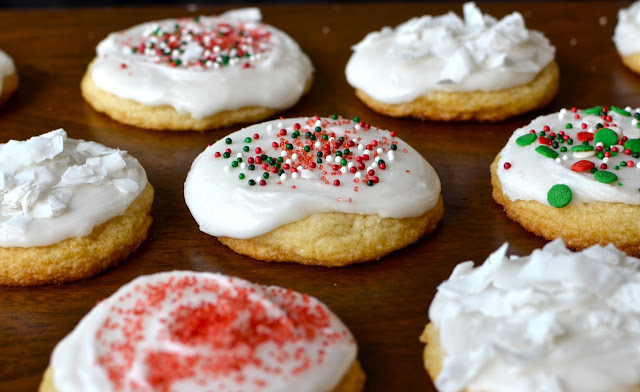 One of the best parts about these sugar cookies (other than the obvious chewiness and flavor factors) is that when the frosting sets, they taste like Lofthouse sugar cookies. You know, those ones you get at the grocery store? Only these are approximately one hundred bajillion times better. 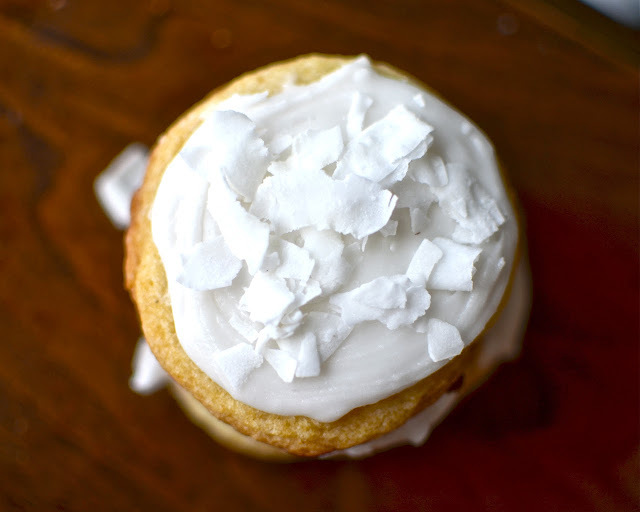 I had an idea in my mind the other day to try using Coconut Flour for making gluten free sugar cookies. When I grabbed my bag of coconut flour, I was pleasantly surprised to see a gluten free sugar cookie recipe on the back of the bag. So of course I had to try it. But then I saw that it had no eggs, a bunch of liquid was added, and the batter was supposed to be "moist and fluffy", I had a bad feeling that these might turn out cakey, but I was too far in to turn back now. I was also worried about the amount of rice flour. Rice flour tends to make cookies gritty. My theory is that gluten free recipes like this German chocolate cake are not gritty because the rice flour gets moistened by all the liquid. So I guess the person who made up this recipe knew what they were doing. The coconut oil ones were definitely the best. They were the chewiest, thickest, and they were also the sturdiest. The rice flour ones were a bit more crumbly and the flavor wasn't quite as good, but they weren't bad. I would make them again if I ever don't have coconut flour around. The actual recipe using butter was good too, but not as good as the coconut oil. 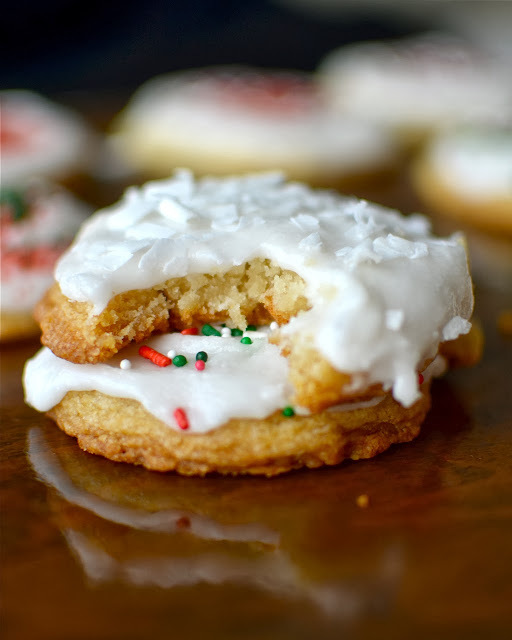 So, in summary, I highly suggest you make these using coconut oil and coconut flour, but if you don't have those ingredients around, you can easily swap them out and you'll still have an awesome gluten free cookie. 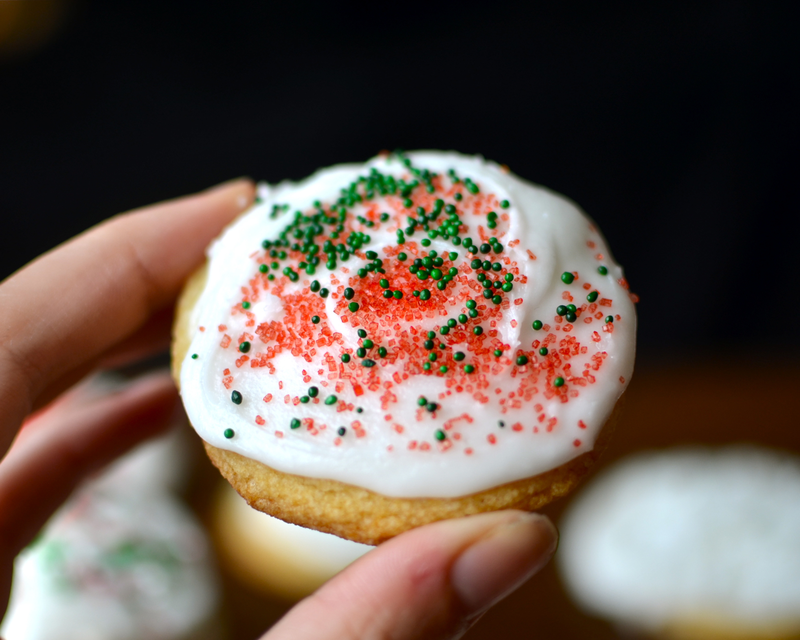 The frosting is dairy free, but if you don't have the ingredients try this buttercream recipe. Have fun. Mix together the sugar and coconut oil (or butter). Add the milk and vanilla and mix until well combined. Mix together the dry ingredients and add to the rest. Batter will be moist and fluffy. Allow to sit on the counter for a few minutes while you preheat the oven to 350ºF. Place rounded tablespoonfuls on greased baking sheets and bake for about 10 minutes or until desired doneness is reached. Cool before frosting. Mix together the coconut oil and vanilla. Alternately add the powdered sugar and milk, mixing after each addition. If it's too thin, add more sugar. If it's too thick, add more milk. Hi. This recipe with all coconut ingredients sounds great and I'm going to try it but in the ingredients list, do you mean rice flour OR coconut flour? Or do you actually combine the two? Coconut flour is extremely absorbent. Measured cup for cup, it is not interchangeable for other flours - unless the measurement is adjusted. For that reason I'm sure the "1/3 cup Coconut Flour (OR another 3/4 cup more rice flour)" part of the recipe means exactly what it says. That's why the option for coconut flour (1/3 c.) is less than the option for rice flour (3/4 c.). That's in addition to 3/4 c. of rice flour listed before that. Ah thanks Mary. You've cleared up my confusion. I actually did make these yesterday but with too much coconut flour (and no rice flour) so lesson learnt doubly so! Will try it again now. Can't wait. Even the botched version tasted pretty good so can't wait to try some chewy ones! Thanks so much for the reply. I just tried making these tonight and it spread way too much and it became very thin. I followed the recipe. I did put the dough in the freezer because I want to make a bunch in advance and have it for when I want. What did I do wrong? Did you melt the oil or butter first? You need a good quality oil at room temp so it is soft. These cookies look beautiful! I just wanted to know if these freeze well once baked and frosted? Or are they only good fresh? Thanks for a great recipe! 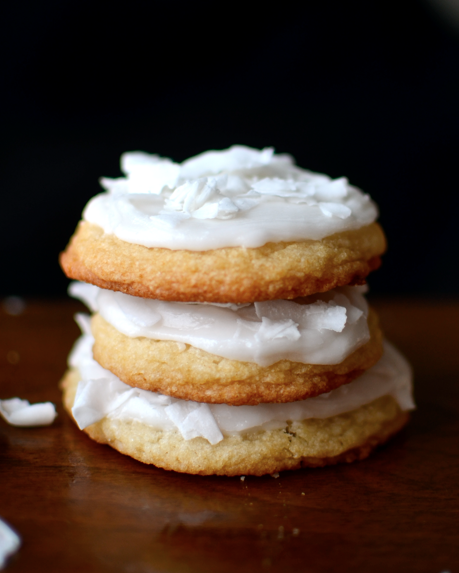 I was looking for a coconut flour sugar cookie recipe that did not call for eggs and these fit the bill perfectly! I subbed chickpea flour for the brown rice and they turned out nicely. I also halved the recipe. They are beautiful, and taste great! Both my boys are taking them to school for their Valentine's party this week. Thank you! Thank you! I came across this recipe on Pinterest and was excited I had all the ingredients on hand. I made them right away and they are delicious!!! I love everything lemon, so I added a couple drops of lemon essential oil to the frosting and they are just perfect. Love the crunchy, chewy texture of the cookie. A keeper for sure! 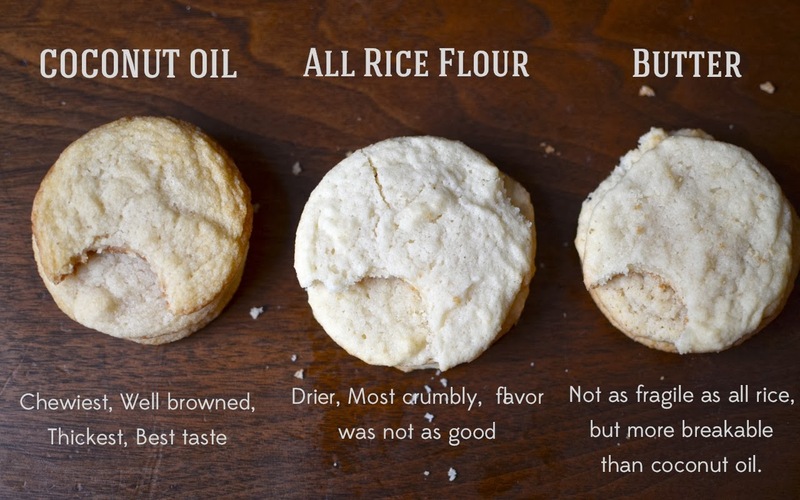 Do you think quinoa flour might work in place of the rice flour? I know it will change the flavor, but I wonder about the texture. Wow - these cookies are great! I had the best luck rolling the dough into balls and then squishing them flat with the bottom of a cup. I cooked them for ~13 minutes. For the frosting I used regular coconut milk and just 2 cups of sugar and it was delicious. I am gluten, dairy, and egg free - it is very difficult to make cookies. These will be my new go-to cookie! Thank you! Made these today and they spread too much and were very thin. After baking the 'test' cookies, I added and egg with not better results. To those of you who have had success with these cookies, did you sift your coconut flour first?? 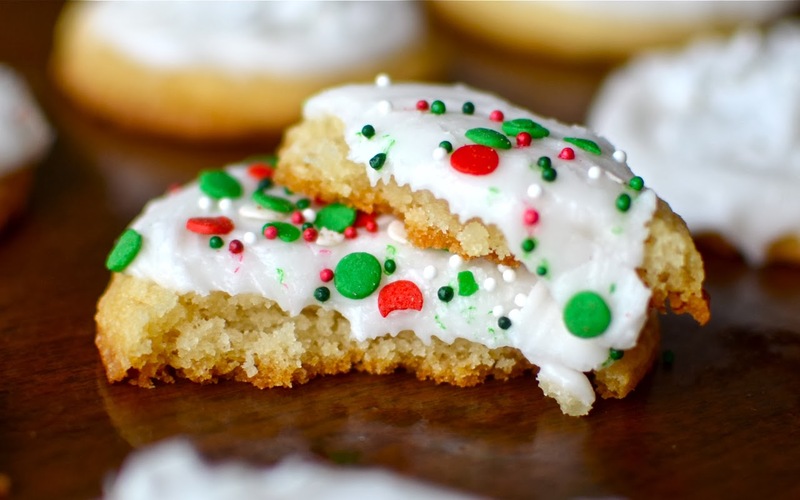 I would like to have success with these cookies as I am looking for a good GF Sugar Cookie. I have made two batches of these and got the same results. They spread out way to much. 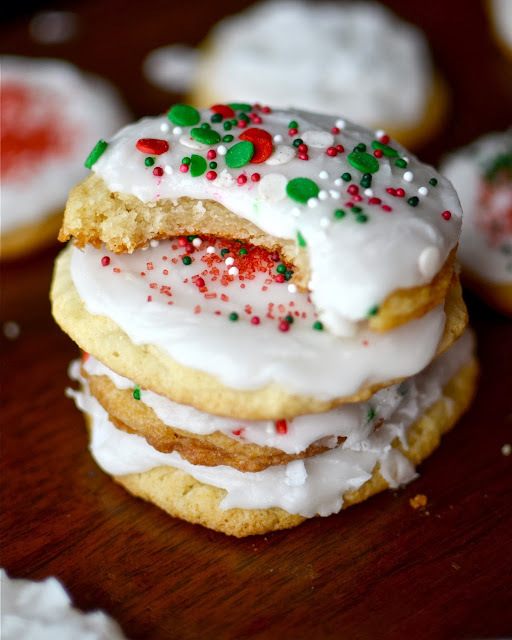 Curious whether I could use this recipe with cookie cutters?? Everyone seems to have good success with this so I was just wondering . . . . ? Every Christmas for the past 3 years, I scour the internet for this recipe. I swear I have saved it many times! My family loves it and everyone enjoys them, even though 98% of my family is not gluten free. Thank you so mcuh for this recipe! I finally wrote it down and added it to my recipe box.